Some of the salient attributes of our PP Socket Fusion Pipe Molded Equal Tee that make it highly popular among customers are its accurate dimensions, durability, corrosion resistance and flawless performance. We are counted among the top companies, which are engaged in manufacturing and supplying PP Socket Fusion Pipe Molded Equal Tee. 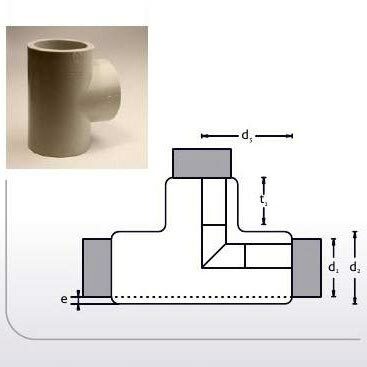 We conduct stringent tests on PP Socket Fusion Pipe Molded Equal Tee before its final dispatch in order to ensure that only the defect free range of our products reaches the customers’ end.